KAMPALA – The Chancellor of Makerere University, Prof. Ezra Suruma, has said the government policy of favouring foreign investors over local ones is misguided and is not the solution to Uganda’s industrialisation challenges. 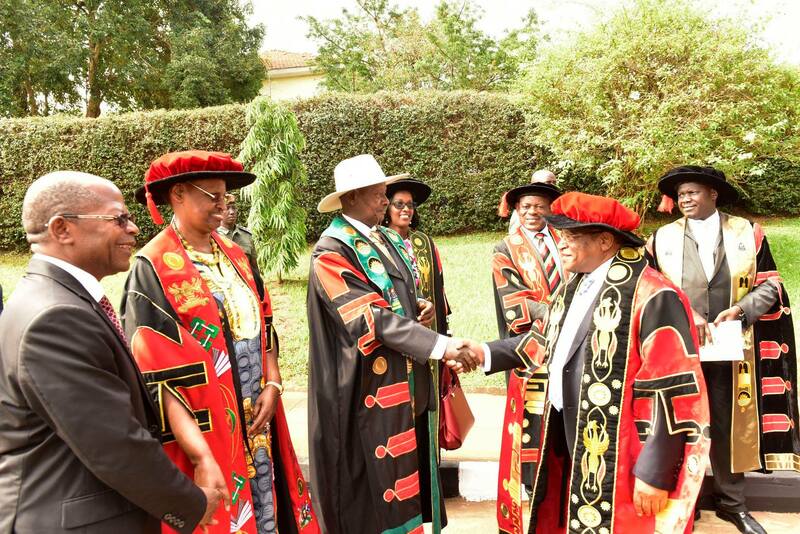 While presiding over the second day of the 69th graduation ceremony at Makerere University on Wednesday, Prof Suruma said government must ensure that local investors are supported to expand instead of always inviting foreign investors. “I do not believe that there is any serious government in the world that expects that foreigners will solve its employment problems. Foreigners can only contribute, but they cannot substitute for domestic investment and enterprise,” he said. “The second and first growing economy in the world is a planned economy, the idea that government withdraw from investing in and supporting domestic enterprises will lead to full employment is in my humble opinion a cruel joke,’ Prof Zuruma added. The trade and investment laws in Uganda provides a ten year tax holiday, duty and tax-free import on plant and machinery and 100 percent incentive on mineral exploration expenditure among other incentives for foreign investors. But Prof Suruma urged the Ugandan government to finance domestic enterprises by ensuring that the local investors have access to capital on terms that will enable them to compete in the sale of their good in the local and on the global market. He said that the government should also review the privatization policies if Uganda is to effectively address the unemployment asserting that the fight should not be left to only private sector. He also warned that as the country moves to sell its oil in the near future, it should be owned by Ugandans so that the country does not depend on foreigner enterprises to create full employment. The four-day graduation which kicked off on Tuesday will see a total of 13,350 students awarded degrees and diplomas of Makerere University in various disciplines. Of these, 56will receive PhDs, 1,254 Masters Degrees and 101 Postgraduate Diplomas, while 11,939 will receive undergraduate diplomas and Bachelor’s Degrees. 49.7% of the graduands are women and 50.3% are men.